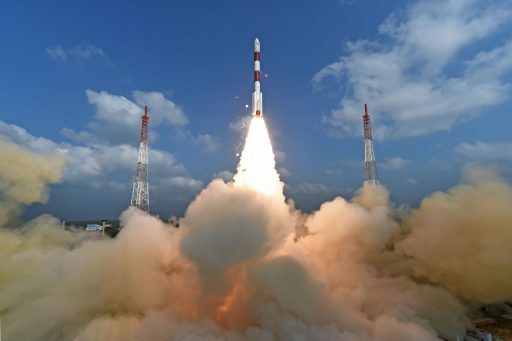 India’s Polar Satellite Launch Vehicle set a new world record on Wednesday, lifting 104 satellites in one go and eclipsing the previous best mark of 37 satellites launched by a single launch vehicle set two years ago by a Russian-Ukrainian Dnepr rocket. 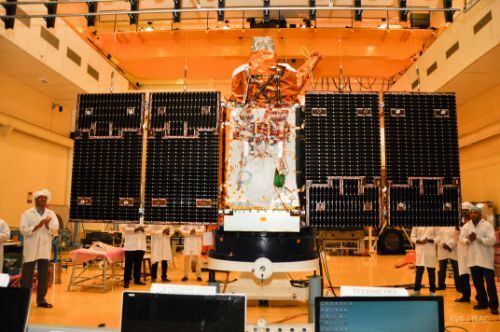 Enshrouded under the rocket’s payload fairing was the mission’s main passenger, CartoSat-2D – a multi-channel Earth imaging satellite, accompanied by two Indian Microsatellites and a total of 101 CubeSats. 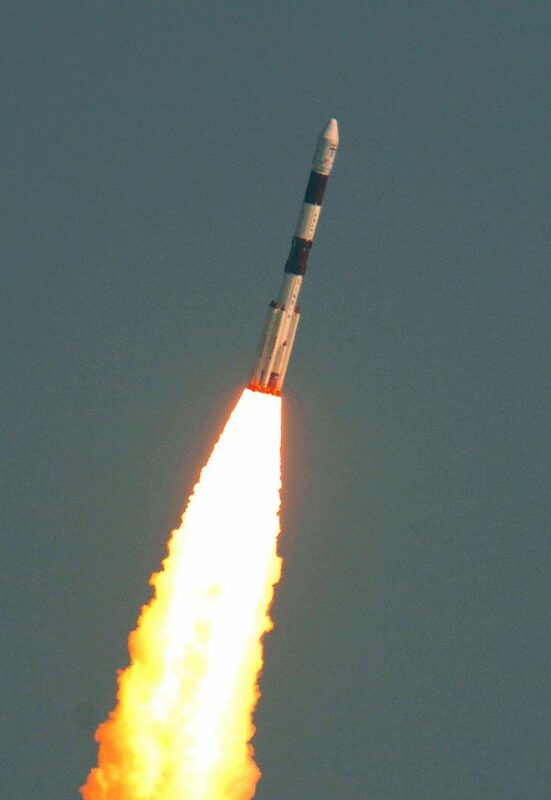 PSLV blasted off from the Satish Dhawan Space Center on India’s east coast at 3:58 UTC, 9:28 a.m. local time, streaking into mostly clear skies powered by one of the most powerful solid rocket motors in the world plus six boosters generating an additional kick to lift the 45-meter tall rocket into orbit. Thundering off, the four-stage PSLV initially headed south east to clear the island of Sri Lanka before turning westward as it fired its three lower stages in close succession followed by a brief passive flight phase before the fourth stage lit up to place the stack into a 500-Kilometer orbit. The propulsive phase of Wednesday’s mission ended 16 minutes after launch and was followed by an unprecedented release of satellites with all 104 spacecraft – ranging from 2.4 meters to ten centimeters in size – departing the rocket in just 12 minutes. According to information received by the Indian Space Research Organization from the various sensors on the rocket, all payloads were released as planned – though it might take hours for all to check in with ground stations and possibly weeks to work through the cataloging process for this humongous crowd of satellites. Leading the pack on Wednesday was the CartoSat-2D imaging satellite, accounting for 714 Kilograms of PSLV’s total payload upmass of 1,378kg and riding in the primary payload position atop the fourth-stage of the rocket. Two microsatellites, weighing a little under 10kg each, were hosted by dedicated wedge-lock adapter systems while all of the CubeSats were facilitated in 25 QuadPack deployers, each holding 12 CubeSat Units. 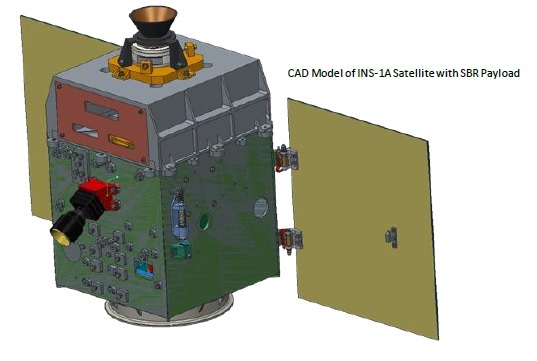 CartoSat-2D is the fifth satellite in the second series of CartoSat spacecraft that has been in operation for the last decade to collect high-resolution and multi-channel imagery for use by the Indian military plus a number of civilian applications in cartography, urban planning, environmental monitoring, resource management and disaster relief. The satellite hosts a 70-centimeter telescope feeding a pair of imaging instruments, a high-resolution Panchromatic imager that delivers black and white images at a ground resolution of 65 centimeters and a four-channel visible and near-infrared instrument capturing imagery at a resolution of two meters. 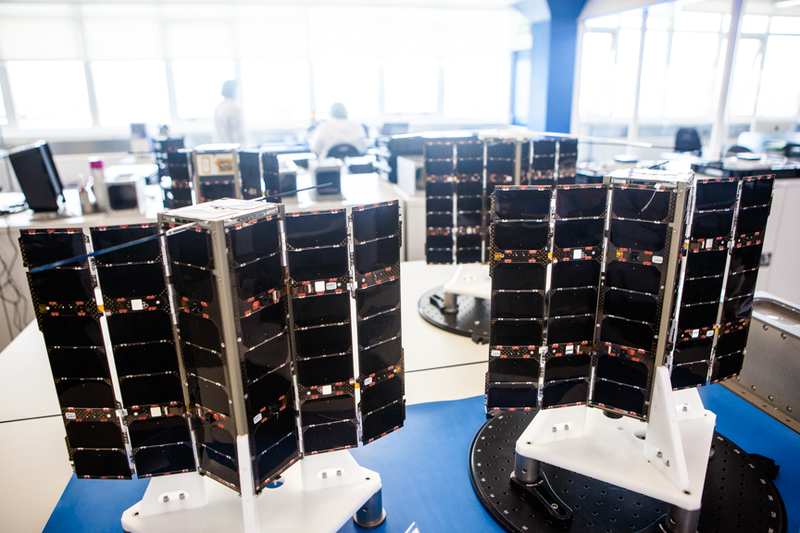 The INS-1A and 1B satellites introduce a new low-cost NanoSatellite bus developed in India with particular focus on giving developing countries an opportunity to fly their payloads to space in a cost-efficient manner. Both satellites use an identical bus module for an in-orbit demonstration of six months to one year. INS-1A hosts a radiometer instrument to study the reflectance of different surface types on Earth plus a tech demo study looking at the performance of different electronic components in the radiation environment of Low Earth Orbit; INS-1B sets out to deliver measurements of Hydrogen in Earth’s exosphere and test out a new camera with ultra-slim optics. 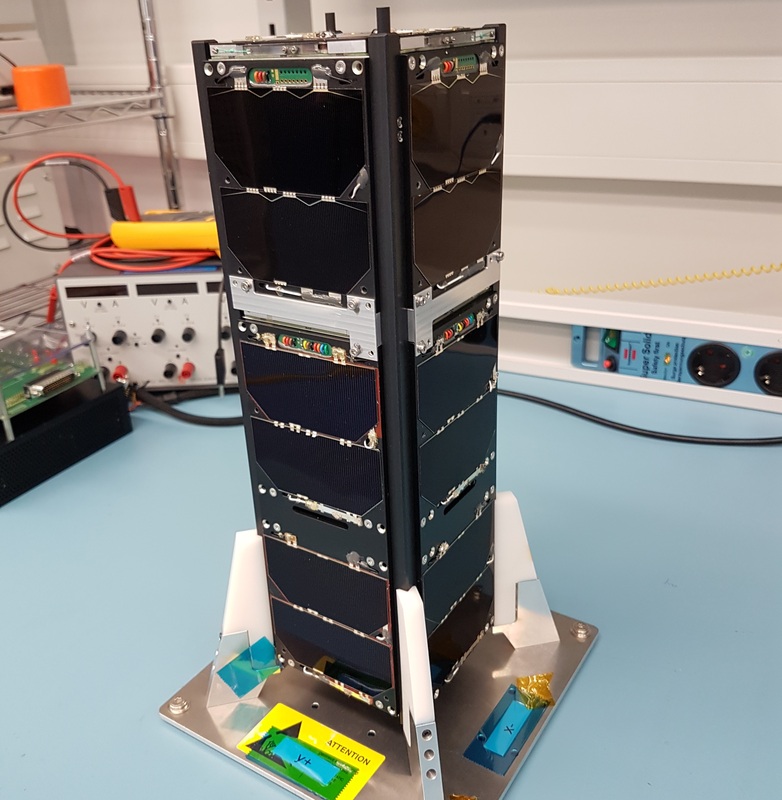 The sheer number of CubeSats launched on the PSLV rocket underlines a trend seen in recent years as CubeSats found their way into the commercial exploitation of space. Inaugurated at the turn of the century, the CubeSat form factor had the primary objective of enabling low-cost access to space for educational and outreach project. 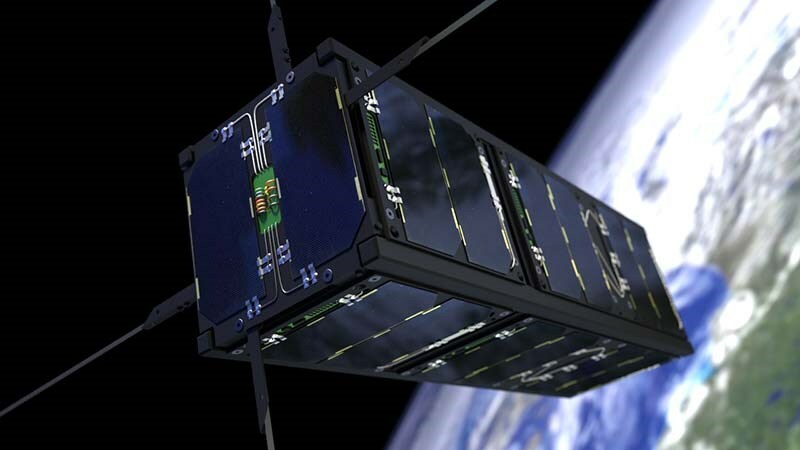 Advancements made in technology enabled satellite instruments to be miniaturized to fit into the limited space available on CubeSat platforms, making them attractive to commercial endeavors given their low launch cost and possibilities of mass production to deploy large orbiting constellations that could not be realized with larger satellites. Educational projects accounted for the majority of CubeSat launches until 2013, since then, the number of operational launches has shown a stark increase, reaching a climax on Wednesday with the deployment 101 CubeSats, 97 serving primarily commercial purposes. 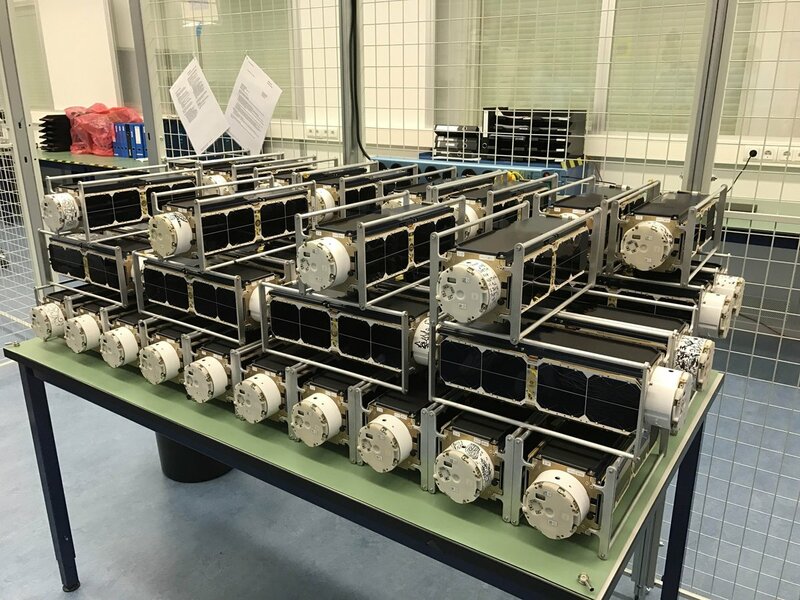 88 of the CubeSats launched by PSLV belong to the Flock-3p of Dove satellites operated by San Francisco-based Earth-imaging company Planet, representing the largest number of satellites launched by an operator in a single launch. The majority of Planet’s Dove satellites were deployed from the International Space Station into orbits that can not cover the entire globe and only last for six months to one year before the satellites re-enter the atmosphere. Satellites going up on PSLV are placed into longer-lasting orbits at high inclination, enabling worldwide coverage. The 88 Flock-3p satellites join a dozen Flock-2p CubeSats launched last year, creating a 100-satellite “line scanner constellation” that images the entire Earth every single day. 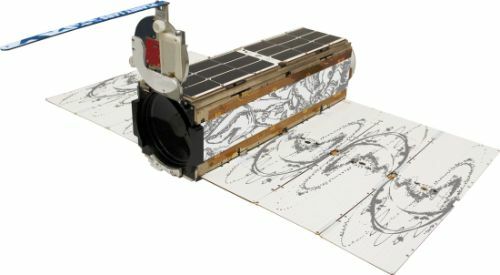 Each of the 4.7-Kilogram Dove satellites can capture multi-channel views of Earth at a ground resolution between three and five meters. Although Planet’s Doves do not achieve the resolution of larger Earth-imaging satellites, their strength lies within a rapid revisit rate achieved through the operation of a large, multi-orbit constellation. To satisfy a demand for high-resolution, sub-meter imagery, Planet recently decided to acquire Terra Bella and its constellation of SkySat satellites. Wednesday’s mission marked the 15th Dove satellite launch for Planet, bringing the total number of Doves reaching orbit to 221. Eight Lemur-2 CubeSats operated by Spire Global were lifted on the PSLV C37 mission to bring the company’s constellation to 29 satellites, having used a variety of launch methods including deployment from ISS and the Cygnus cargo craft. Also complying with the 30 x 10 x 10-centimeter form factor, the 4.6kg Lemurs hosts a pair of instruments – a GPS occultation sensor captures vertical profiles of temperature and humidity in Earth’s atmosphere to feed into numerical weather forecast models; and a receiver for the Automatic Identification System collects global ship-tracking data offered on the commercial market. 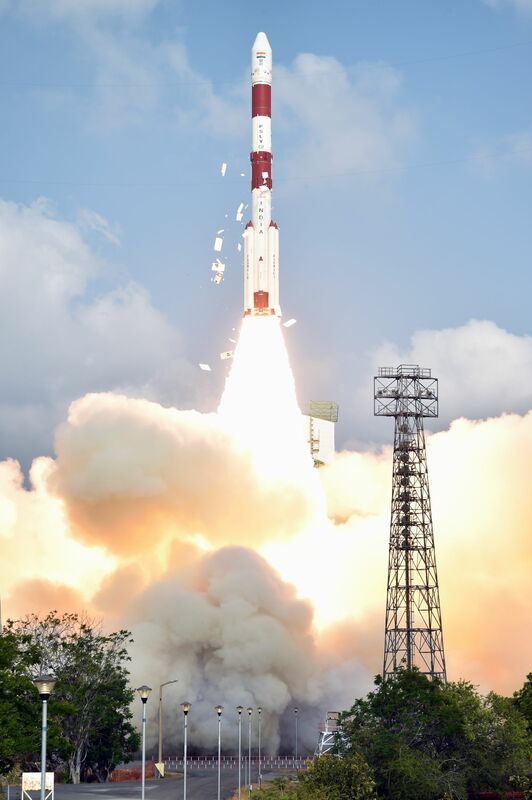 The remaining five satellites lifted by PSLV are non-constellation missions in support of technology demonstrations, microgravity research and education. PEASSS, the Piezo Electric Assisted Smart Satellite Structure, is the result of a collaboration of European industry partners to test cutting edge-technology of piezo-electric actuators that could build the foundation of future ultra-stable space-based imaging systems by keeping optical components perfectly aligned, canceling out mechanical vibration from a spacecraft platform and mitigating thermal expansion/contraction of satellite structures. Swiss-Israeli company SpacePharma launched its first satellite on Wednesday, managing to fit a state-of-the-art microgravity research laboratory aboard a 3U CubeSat. Named DIDO-2, the satellite will carry out a series of remote-controlled experiments in the fields of biochemistry, biotechnology and microphysics. 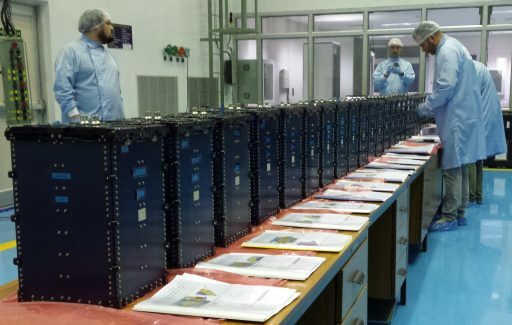 The remaining three satellites, BGUSat from Israel, Al-Farabi-1 from Kazakhstan and Nayif-1 from the United Arab Emirates are 3, 2 and 1U CubeSats built by university students for technology demonstrations, amateur radio communications and Earth-imaging. PSLV, India’s flagship rocket in operation since the 1990s, makes use of a combination of the raw power of solid rocket stages and the precision & maneuverability of liquid-fueled engines. Wednesday’s liftoff was preceded by a shortened countdown of 28 hours, employing PSLV’s new remote-controlled tanking feature to fill the liquid-fueled second and fourth stages with hypergolic propellant. 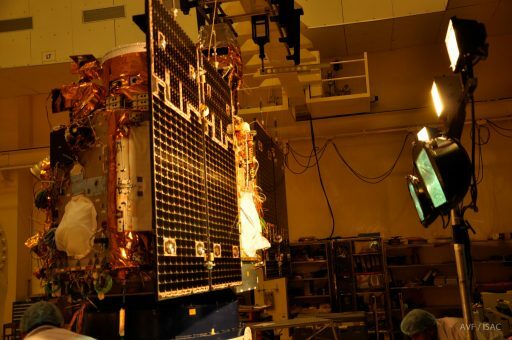 The mission was the first to rely on the Indian Regional Navigation Satellite System for on-board orbit determination as India continues to push toward independence from the U.S. GPS. following completion of the eight-satellite navigation constellation last year. PSLV jumped off from the First Launch Pad at Sriharikota at 3:58 UTC on Wednesday under the power of its massive PS1 core stage and four of its six Solid Rocket Boosters. Burning through 1,600 Kilograms of propellant each second of powered flight, PSLV swung to the south-east over the Bay of Bengal, initially holding this heading to steer clear of the island of Sri Lanka. Once the rocket had traveled far enough to remain clear of the island, a powered turn known as a Dogleg maneuver was made to transition the vehicle to a south-westerly path taking it to the desired orbital inclination of 97.46°. PSLV entered closed loop steering during the second stage burn to dynamically adjust its flight profile based on measured navigation data – PS1 flew a pre-programmed attitude profile to make it through the dense atmosphere. The payload stack was revealed T+2 minutes and 38 seconds after liftoff when PSLV had passed 117 Kilometers in altitude. The second stage finished its job four minutes and 23 seconds after liftoff and handed off to PS3 that ignited on a burn of 112 seconds, generating 25,000 Kilogram-force of thrust by burning a solid propellant mix. Upon third stage tail-off, the vehicle completed two minutes of coasting before dropping the PS3 and firing up the twin L-2-5 engines of PS4, tasked with a burn of 8 minutes and 25 seconds to push the rocket into an orbit 505 Kilometers in altitude. Orbital parameters at engine shutdown nearly 17 minutes into the flight showed 503 by 505 Kilometers and matched the target inclination for another very precise delivery by PSLV. 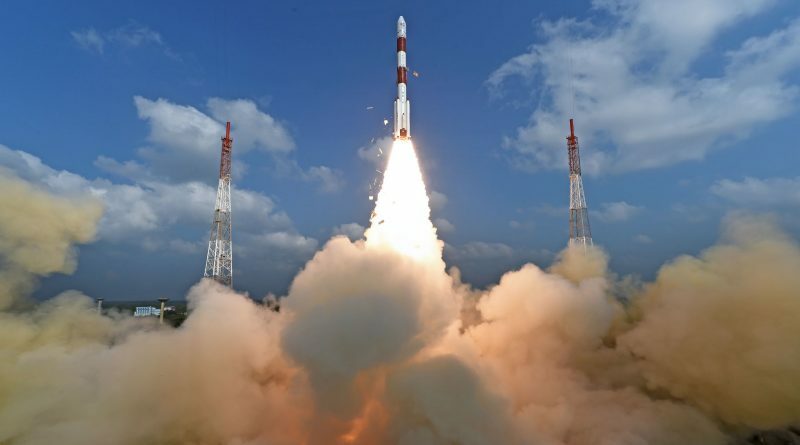 Upon completion of powered flight, PSLV wasted no time and sent off its primary passenger at T+17 minutes and 30 seconds followed ten seconds later by the near-simultaneous release of the INS-1A and 1B satellites, each weighing in at around ten Kilograms. 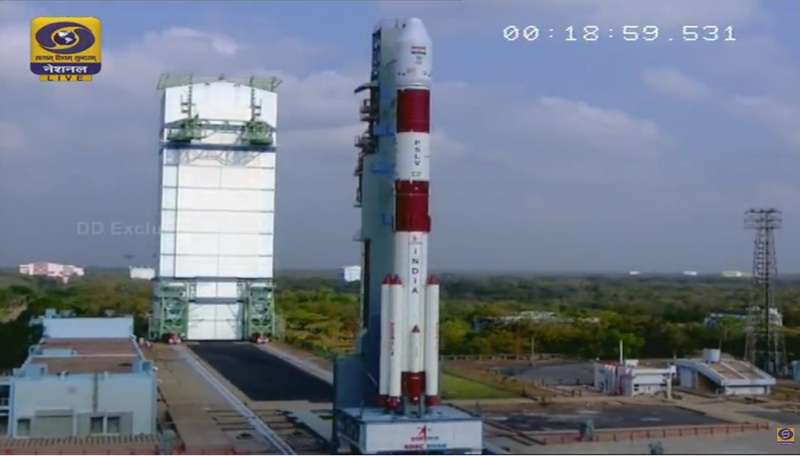 A 50-second delay was implemented before PSLV unleashed its flood of CubeSats with 100 deployment events over the course of ten minutes and ten seconds. 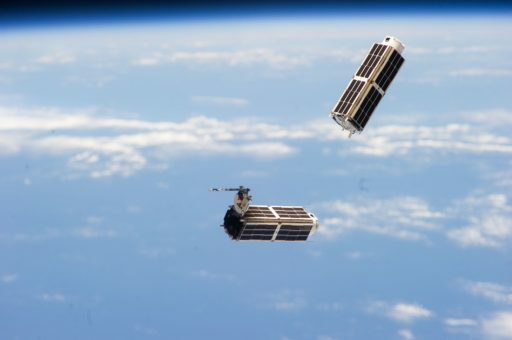 Sending a very large population of CubeSats into orbit does not come without challenges, especially in the identification of individual satellites, a process expected to take several days to a few weeks as the CubeSats slowly drift apart.